Two Detroit Mercy Architecture alumni are getting noticed for the way they look at design, one locally and one on the national level. Chandra Moore ’02, ’05, is one of a very small group of African-American female architects. 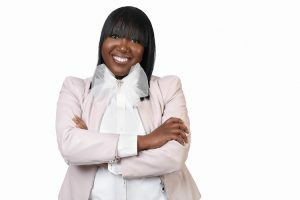 She is making a name for her Detroit-based company coG studio LLC, which will soon have offices in Atlanta. She sees her uniqueness in the field as an asset that inspires her designs. Read the entire Model D story here. On the national level, Michael Ford ’06, was featured in a video for the Oprah Winfrey Network, or OWN, for his design philosophy that has earned him the nickname the Hip-Hop Architect. Detroit Mercy hosted his Hip Hop Architecture Camp in 2017, a national movement to bring a new voice and life to designing spaces. 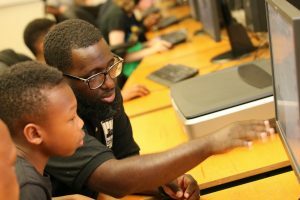 Michael Ford, at his Hip Hop Architecture Camp at Detroit Mercy in 2017.